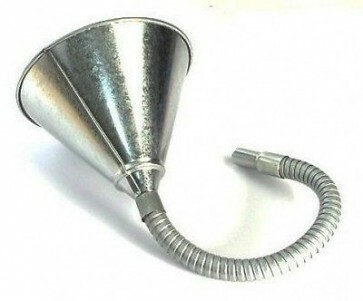 High quality Galvanised steel fitted Flexible Steel Funnel with a mesh particle filter. The steel funnel has a flexible spout, making it easy to deposit fluid. It is used for various purposes changing or filling oil fluid or petrol etc. Measures 150mm dia. Flexible shaft length 240mm..